Hi everybody! I sometimes receive emails & questions on how to use my clipart & digital paper graphics so I thought I would occasionally blog and answer some of the most commonly asked questions. One of which is how to resize the digital papers to an 8.5" x 11" size. For the purposes of my tutorials I will probably be showing most of my "how to's" in Photoshop Elements. There are a lot of different programs out there but I've found this seems to be the one that most people have access to (if you don't have it try googling "Photoshop Elements trial" to see if Adobe is offering a free trial version of the latest version). 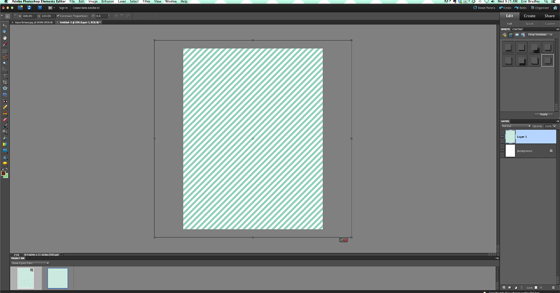 So this is actually pretty easy to do in PSE. The first thing you'll need to do is open the program and then start a new document in an 8.5" x 11" size. 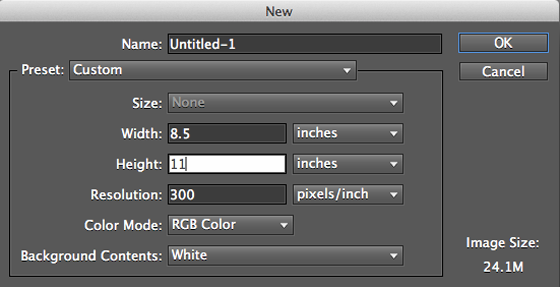 Since I am using PSE I chose RGB as the color mode and I just made the background white. Next you will want to open the digital paper file you want to resize. You'll see on the next screen capture I have two thumbnails at the bottom. One is my blank 8.5" x 11" file and the other is my 12" x 12" digital paper file. Double click on the digital paper thumbnail so it comes up on your screen. You will then simply click need to click on the digital paper file shown in the middle of the screen and then drag it onto the blank thumbnail at the bottom. Now the digital paper will show up as a layer on your new file. If you click to the new document you'll see the digital paper is still bigger than your new document. 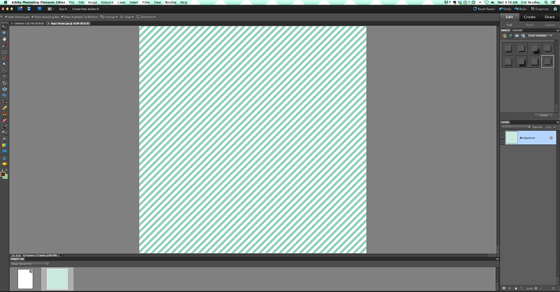 That's OK. You can either leave it as is or click on the corner to resize the pattern to the desired size. If you scale the pattern down be sure to "constrain proportions" so everything stays proportional. Once you have everything in place you can click on the little green checkmark and then resave your file in JPG format. I would create a new folder for your resized files, just so you don't accidentally override the original digital papers. If you don't have Photoshop Elements you can also just try printing the papers as is from home. Most home printers will automatically scale the design down or you can look for a "fit to page" option in your settings and then just choose letter sized paper.